Habitat Various freshwater environment, such as lake, pond, rice field, swamp, river, etc. Range in Japan Central to Southern Japan. Hachijojima Is. (Izu Islands). Especially abundant in Kyushu and Shikoku Islands. Date Imported to Japan around 1880-1900. Established by 1972. Route Deliberate: as ornamental plant and cattle feed. Now distributed for ornamental, cleaning up water, plant food, etc. 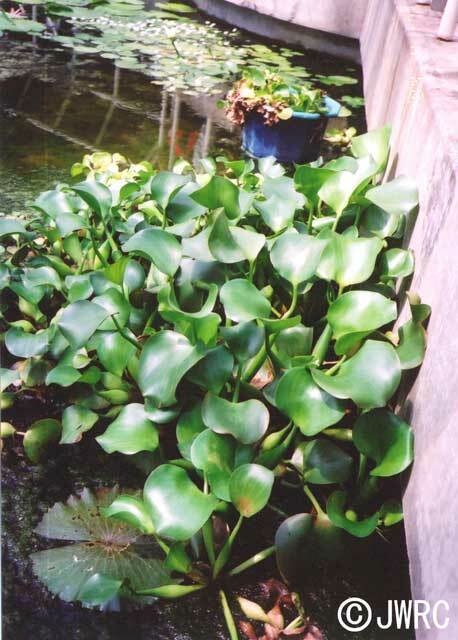 Affected organism: Aquatic plants, rice, etc. Regulation in Japan Keeping of this species in Saga Pref. are controled by a prefectural ordinance. Import to Australia is prohibited. Assigned as 100 of the World’s Worst Invasive Alien Species and 100 of the Japanese Worst Invasive Alien Species.